Hi everyone! 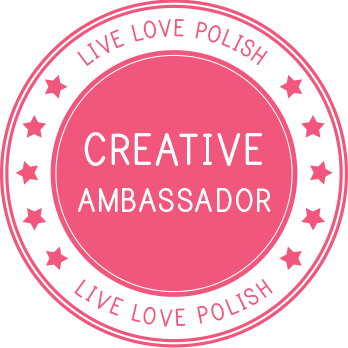 I'm beyond honored to announce that this year I've been offered a spot in the Picture Polish Blog Fest 2014 event! It's a celebration of nail polish, nail art and nail passion; makers, artists and admirers - we come together and create something very special. Jules and Megs, the masterminds behind Picture Polish, they're hosting this epic party, and they handpicked all bloggers involved. They have generously provided everyone of us with a kit including 3 PP shades of their choosing, also including a really fun kind of nail art product - 'Nail Vinyls'! 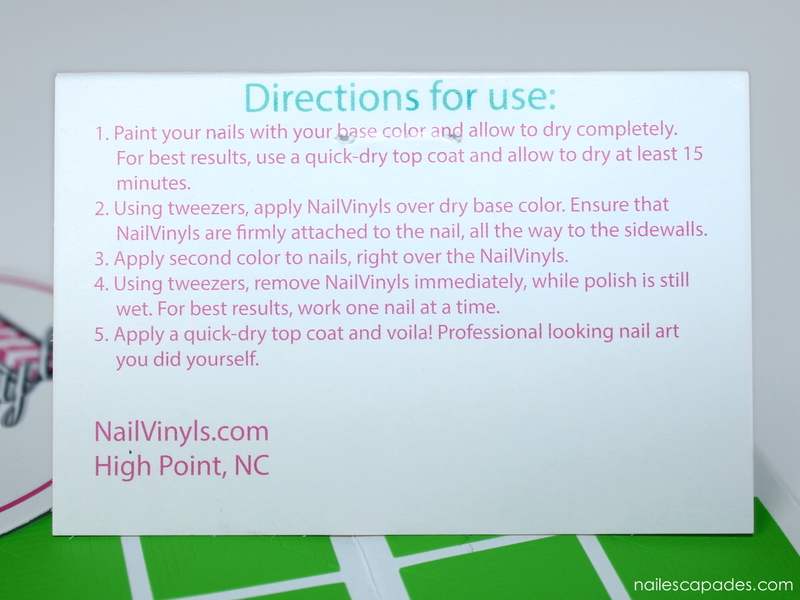 This exciting project consists of two parts; part 1 is a swatch and review of a nail polish, and part 2 is a nail art look fashioned from two nail polishes and the 'Nail Vinyls'. 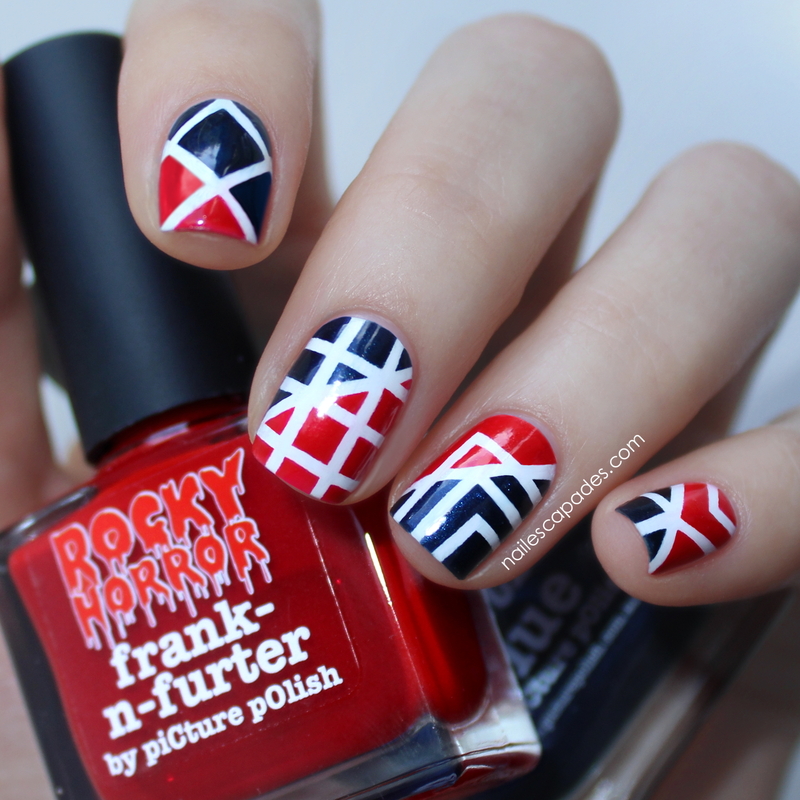 Previously bloggers have been given free rein to create nail art using all the tools of a professional NPA. This year the rules have been changed and nail art embellishments, studs, decals, acrylic paints, dotting tools, sponges for gradients etc. were excluded, allowing just black and white polish to be used if needed. Honestly I panicked at first, and I'm sure I wasn't the only one, but then I realized this was the ultimate test to challenge everyone of us on our creativity! With such limited means, aren't you excited to see what we have come up with? Let's get started! 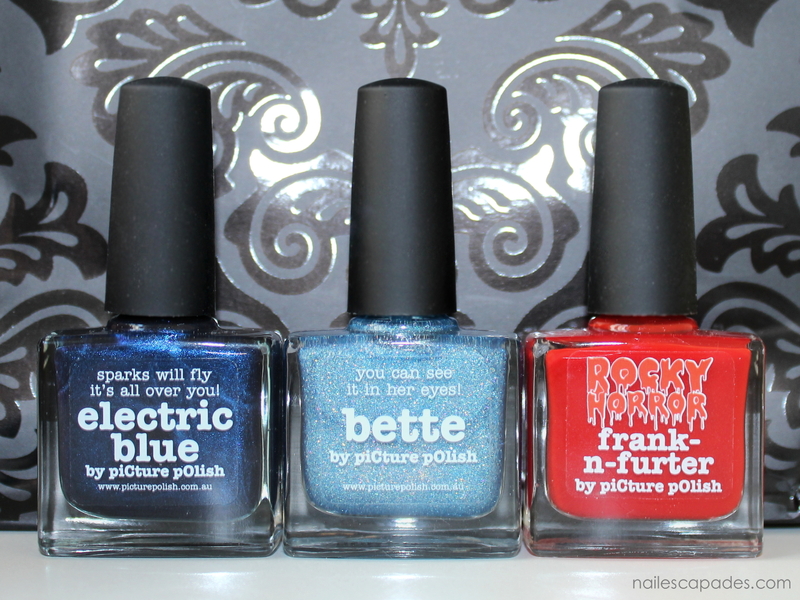 These were the products I received in the mail; Electric Blue, Bette, Frank-n-Furter & Right Angle 'Nail Vinyls'. Picture Polish will be retailing a special exclusive 4 pack ‘Nail Vinyls' containing Chevrons, Mini Chevrons, Straight & Right Angles, that will be used by all participants this year! 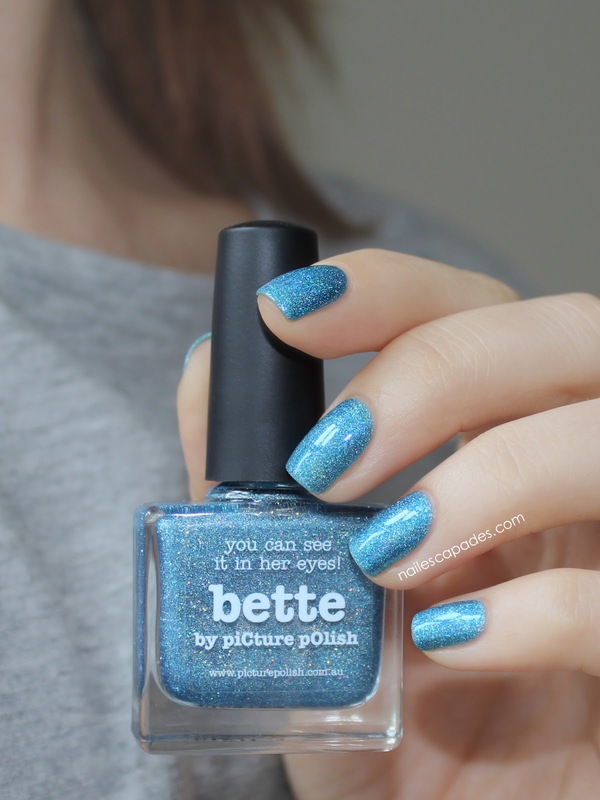 Bette is a dusty light blue scatter holo. I spy both larger holo flecks and finer holo particles, which together creates a very luxurious appearance. 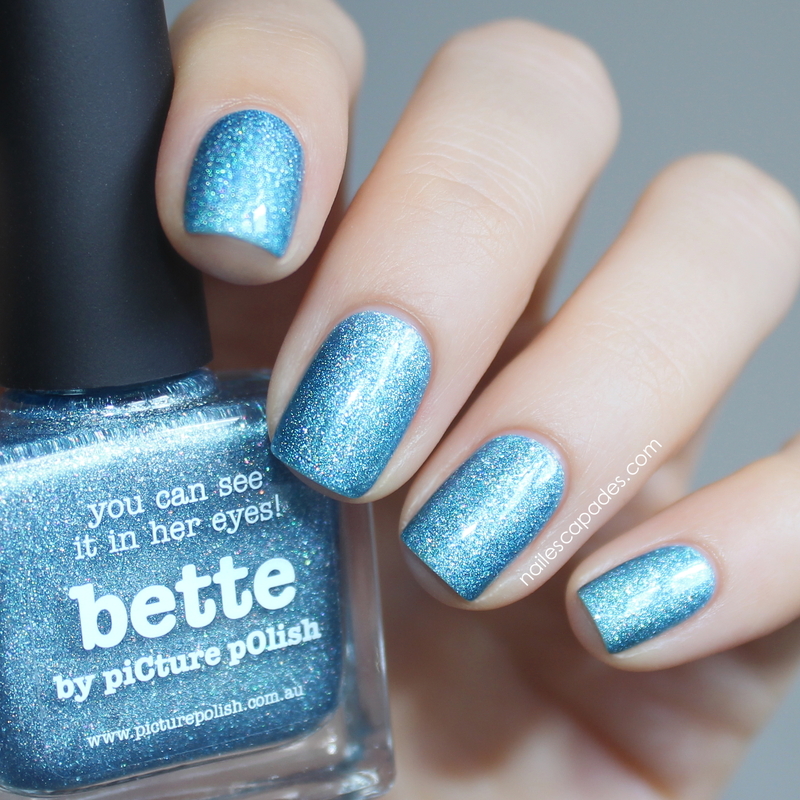 Fittingly, Bette falls under the category of Opulence Shades. For my manicure I used 2 coats for complete coverage, finished off with top coat. I'm completely serious when I say I couldn't keep my eyes off of my nails. You have to see this one in person. 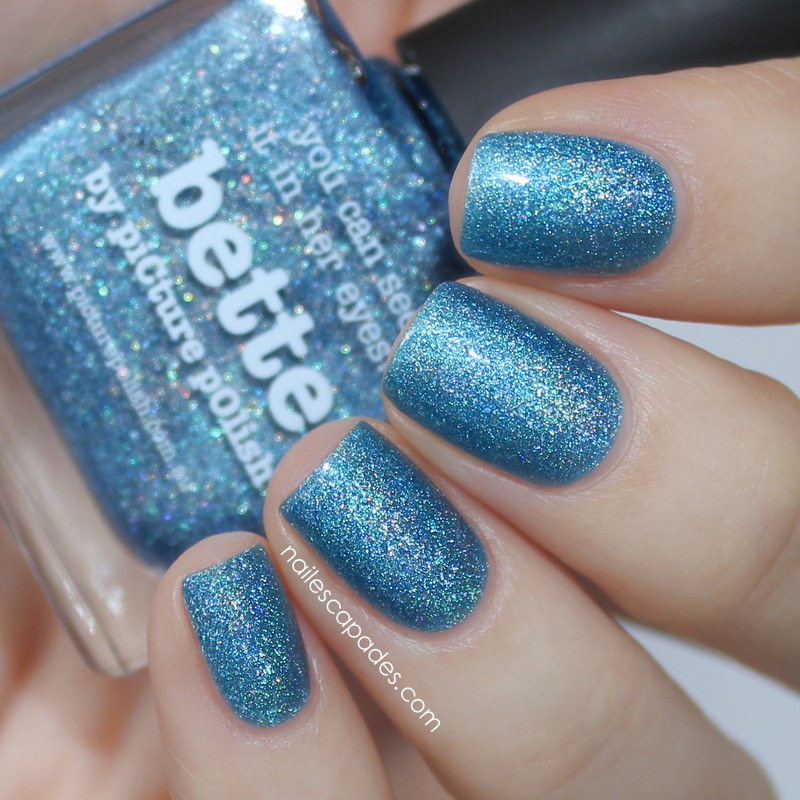 The way the scatter holo creates a deep base for the rainbowy finer holo pigment - it looks like it's hovering! Do you see it? 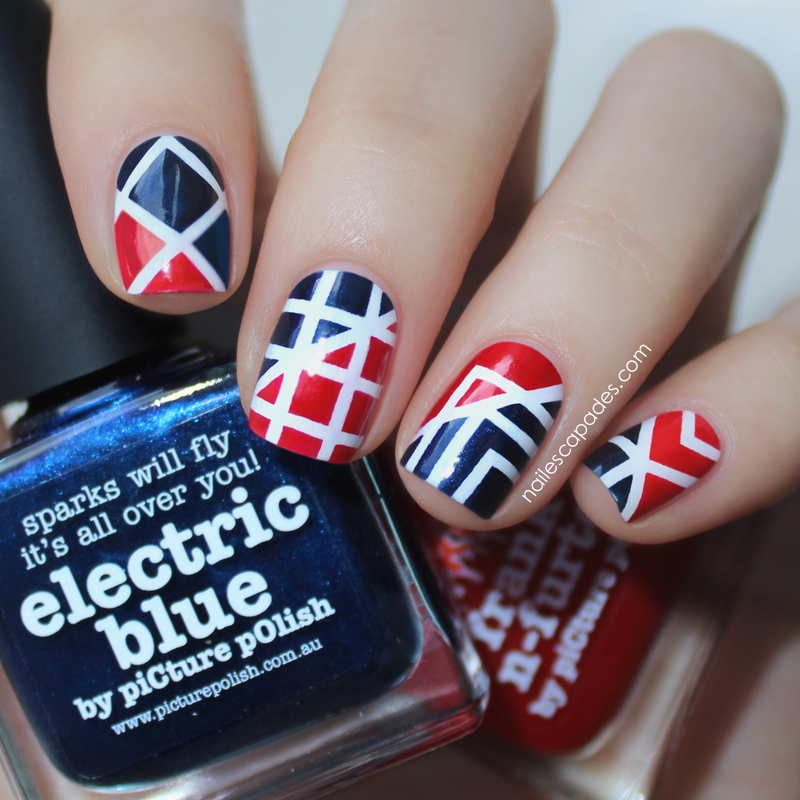 This is my nail art design for the Picture Polish Blog Fest 2014. I'm really happy with how it turned out, and I hope you like it too! For the base I used a clean white polish, but you can also create this design over bare natural nails for a more edgy style. 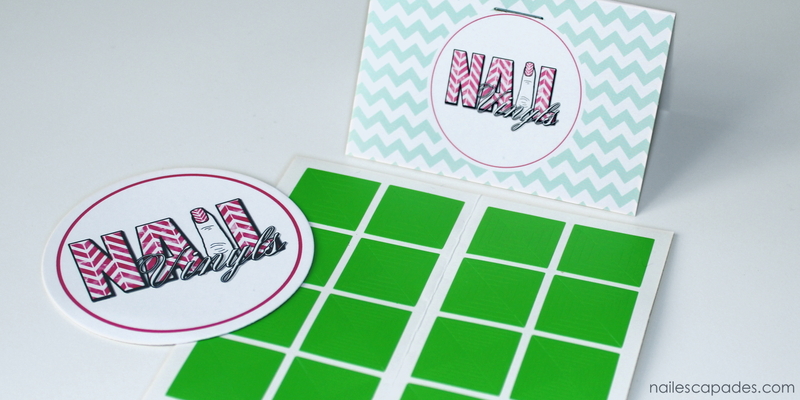 As you can see, the Right Angle vinyls come in 4 different sizes. On my thumb I used each size of them, but for the rest of my design, I proceeded with only the second to smallest vinyls, just to keep it simple. 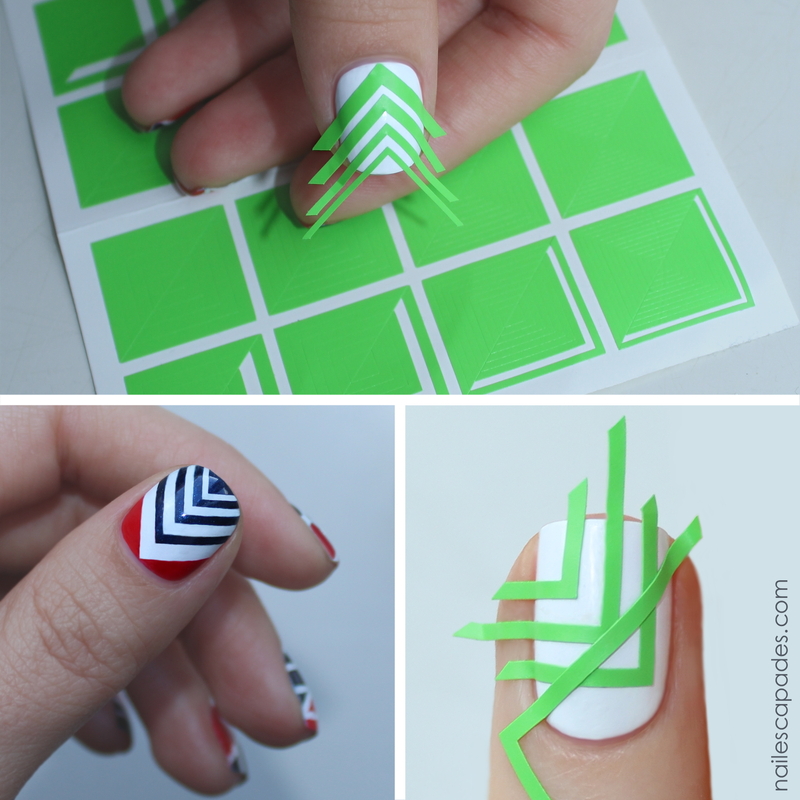 To make this nail art, I created a design that will look good even just by using one color, but also two, three or even more. 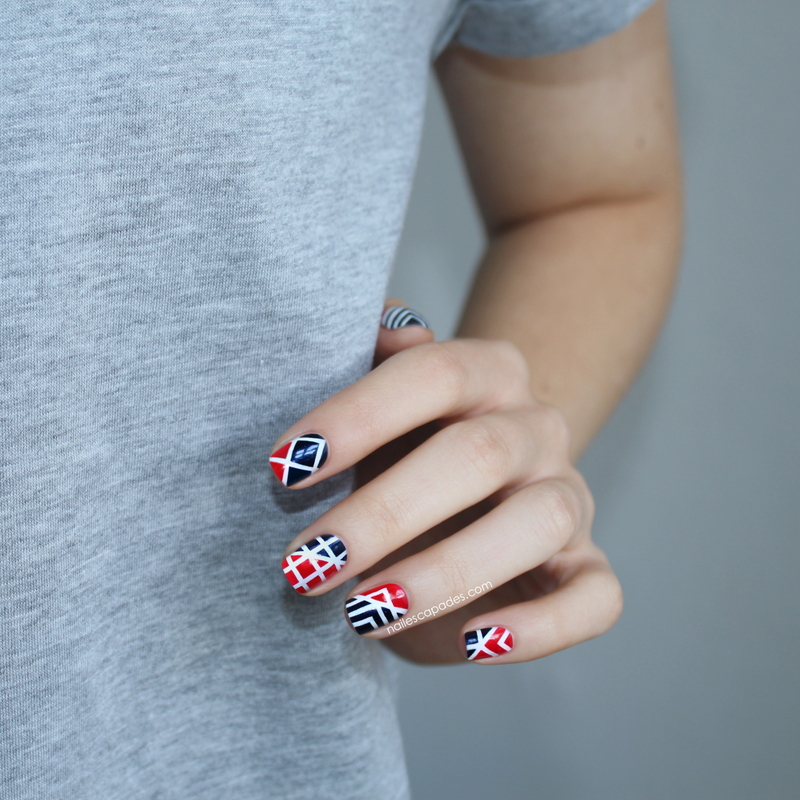 The point for me was to come up with a design that opens up as many options for interpretation as possible - this way everyone can recreate this nail art. Electric Blue is a dark navy creme with beautiful blue shimmer, it has that lit-from-within glow as soon as light hits the surface. 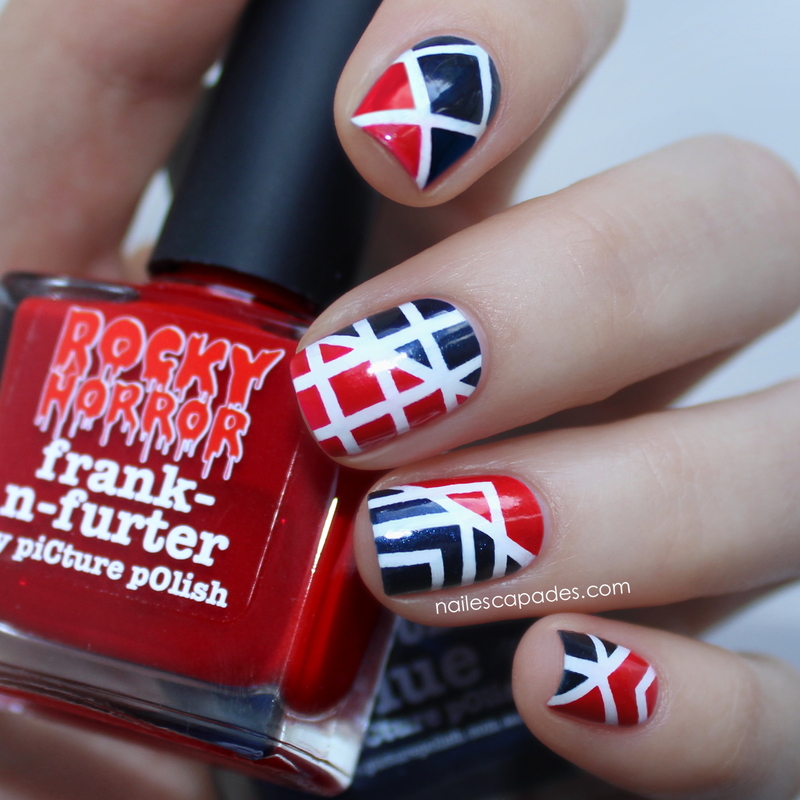 Frank-n-Furter is a part of the Rocky Horror collection, it's a classic hot red creme. One of the prettiest reds I've ever seen. That was it for the Picture Polish Blog Fest 2014! At the bottom of the blog post there's a big InLinkz link-up for all of the talented girls participating this year. Remember to check them out - maybe comment on their blog and tell them I sent you! :) I can't wait to see what they've all come up with! 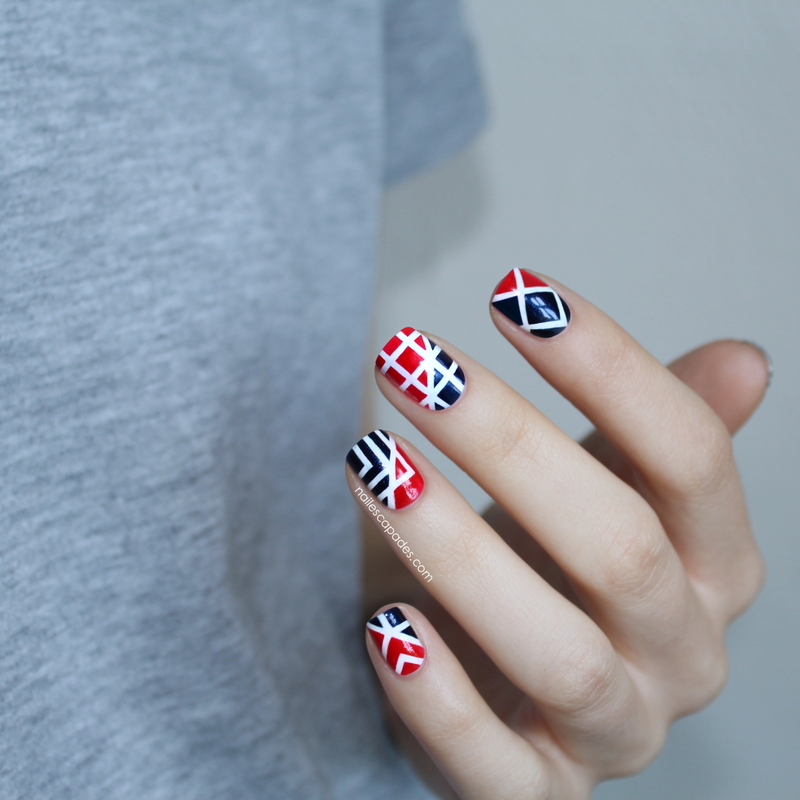 Your "Nail Vinyls" design is wonderful! 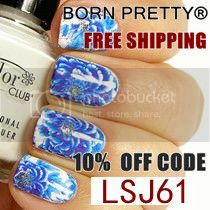 Your swatches and nail art are both sooo beautiful! I am stalking all the photos of Bette because I was the one who renamed it :). Seriously an awesome job!! Everything is amazing here ! 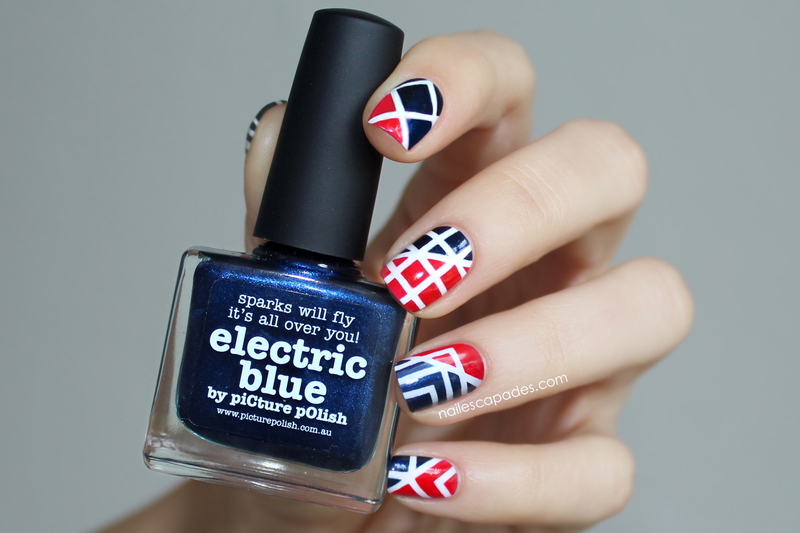 My favorite Blog Fest Mani! I love it! !